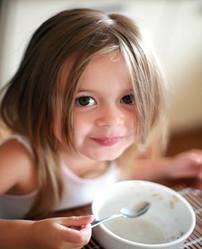 We have said it and our parents before us did as well, breakfast IS the most important meal of the day. But do we really know why? Whether it is from more specialized testing, recognition of busy lifestyles or seeing the results more and more information is becoming available about the importance of this first meal of the day. *if you’re trying to watch your weight, breakfast-skippers tend to eat more at lunch and throughout the day. *another important benefit of breakfast for children is that establishing the healthy habit of eating breakfast early in life could stave off many adulthood health problems associated with poor diet, such as diabetes and obesity. *think of it as if your car “fuel” light is on. You wouldn’t continually drive it in that state, same for your body. When you get up in the morning, your fuel tank is empty and your blood sugar is at its lowest for the day. As a Holistic Health Coach we look at several other factors that can play a role in WHY breakfast is skipped. In Canada alone, that’s forty per cent of Canadians who do not eat breakfast and an alarming one half of them are women. Lifestyle and stress play big factors in appetite squelchers. So let’s say you’re REALLY going to try to start your day (and encourage or set an example for your children) with a nutritious breaky. With the weather still bordering on winter we like comfort foods. My pantry is filled with a variety of hot cereals; Teff, Steel Cut Oats, Classic Oatmeal, Red River, Cream of Wheat. In doing a label to label comparison of all of them, I am please to say they are pretty much equal in nutrition, give or take a few grams here and there. *In following my “cook once eat twice” principle, double or even triple the recipe. Cook it so it’s just ever so slightly undercooked. This can be stored in the fridge for a week thus cutting the prep time in the morning. Depending on the age of your children, they can either reheat on stove top or in microwave independently. *STAY AWAY from instant! Instant anything! The nutritional content changes drastically. Not only are they scant in nutrition but also “extra stuff” has been added. Chemicals that we need to keep out of our bodies. *get some protein in the form of nuts to top it off. Protein blunts your hunger the most, and is the most satiating. From a coffee grinder (or similar kitchen appliance) keep a small jar of finely ground nuts. It again is easily accessible for everyone and cuts the morning prep time in half. Kids love doing this job. In closing, I thrills me with the big names that are stepping up to realize the power of nutrition and influencing our kids to make good choices. Dr.Oz recently held an Iron Chef sort of event to help teen chefs fight for a healthier tomorrow. As we inch closer to Spring, longer days are the prefect reason to plan for a healthy start…..….